Apple iPhone 7 was the top-selling smartphone globally in the first quarter of 2017. According to new data released by Strategy Analytics, the iPhone 7 accounted for 6.1 percent of total smartphone shipments in Q1 2017. Last week, Apple announced its second quarter earnings with iPhone sales declining marginally to 50.7 million units. 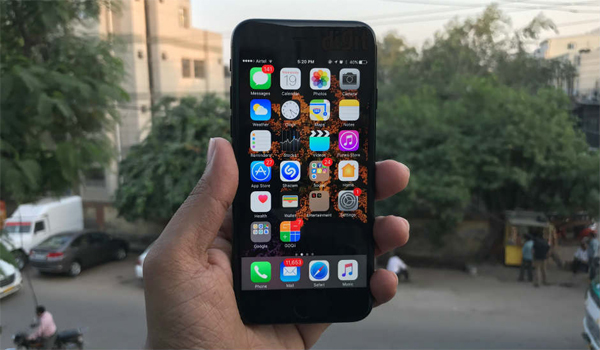 According to the research, Apple sold 21.5 million iphone 7 units in the first quarter of 2017, while iPhone 7 Plus shipments came in at 17.4 million units. Strategy Analytics says that total smartphone shipments came in at 353.3 million units, a six percent gain from the same period last year. While Apple's iPhone 7 series dominated shipment numbers, Oppo's R9s was the best selling Android smartphone. Oppo sold 8.9 million units of its R9s smartphone, contributing 2.5 percent of total smartphone shipments. Oppo coming in at number three shouldn't come as a surprise. The company along with Chinese rivals Huawei and Vivo has overshadowed the likes of Apple, Samsung and Xiaomi in its home market. The company has even managed to make headwinds in the offline retail space of the Indian smartphone market. Two of Samsung's Galaxy J series models also featured in the top five list despite the fact that the company didn't have a flagship device during the first quarter. "The galaxy j3 captured 2 percent global smartphone market share at fourth place, while galaxy j5 took 1 percent global share to become the world's fifth most popular model," said Linda Sui, Director at Strategy Analytics.